High-end pet furniture in general is having a moment this year, but today we're focusing on the hounds. There is furniture — from beds to dog houses to bowl stands — available for ole Fido these days that rivals your own, in case you haven't noticed. We're talking quality craftsmanship and designs that will actually elevate your space. Those kitschy printed dog beds are a thing of the past — if you can afford it. That's because the designs that are making a splash don't come cheap. Heck, you could buy yourself a bed for the price of some of these dog beds. Below, find a few brands that have caught our eye. 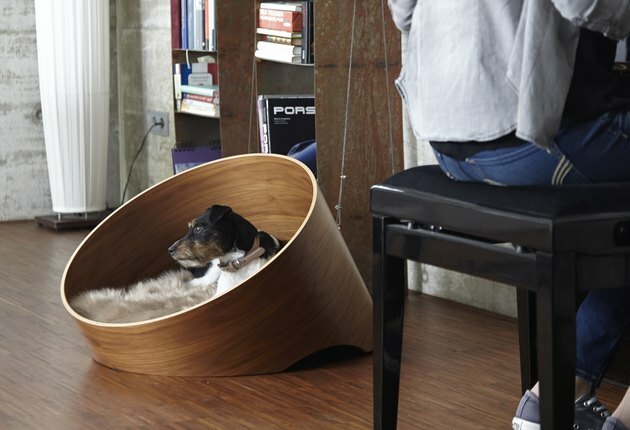 German dog and cat furniture and accessories manufacturer MiaCara sells stunning pieces, like this walnut wood dog bed ($568). And the best news is that they ship to the U.S. Architect Michael Ong and Melbourne-based design studio Pen's "Dog Room" (starting at $429) is not only beautiful, but also award-winning. (It's a European Product Design Award 2017 silver prize recipient.) 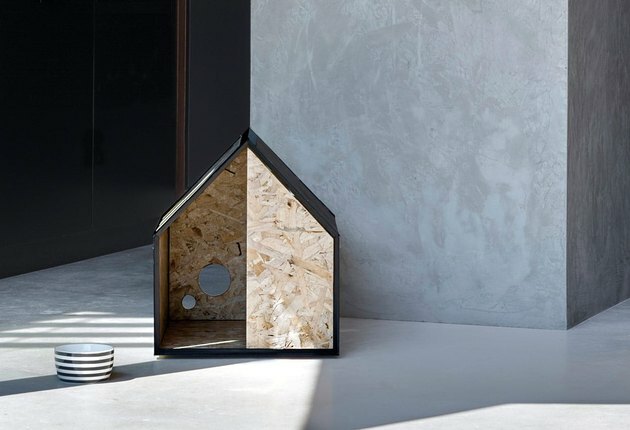 The minimalistic design consists of e-coat aluminum and plywood. It can be purchased in the U.S., but you must contact Pen for shipping costs. Korean design studio Bad Marlon is another stop for precious options that ship to the U.S. Above, the comfy-cozy Marron Bed ($132). And, of course, there are plenty of Etsy sellers boasting unique, customizable finds. 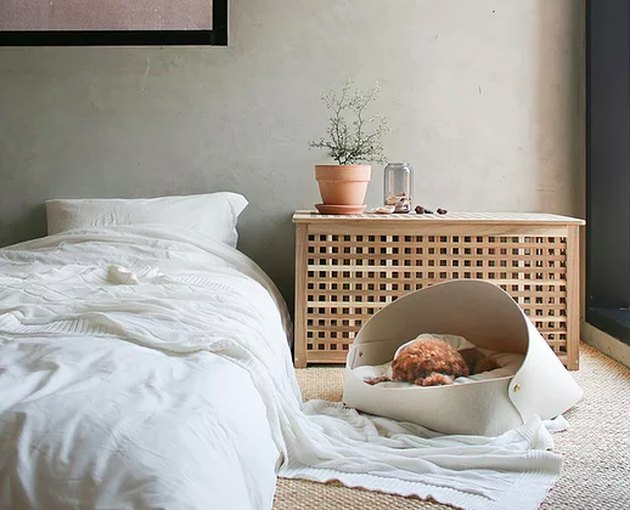 U.S. seller CozyCama's wooden dog beds (starting at $255) fit seamlessly into a midcentury space. Plus, the outer wood can be engraved with Fido's name or whatever you please, really. 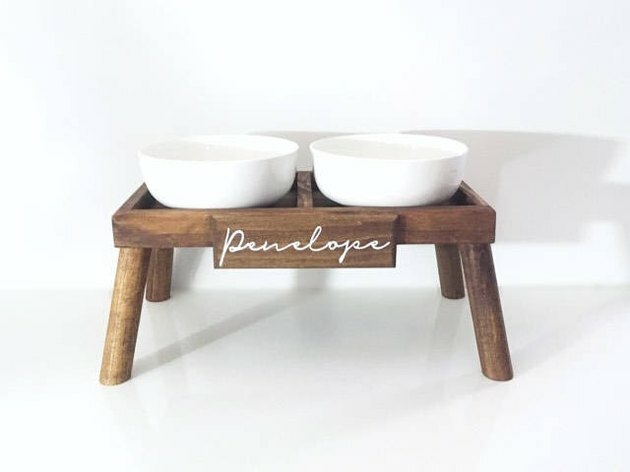 U.S. seller HighlandDesignCo sells the most luxurious bowl stands your dog will ever slobber over. They can be personalized (or not), and the one above retails for $145 and up. So what's our verdict? 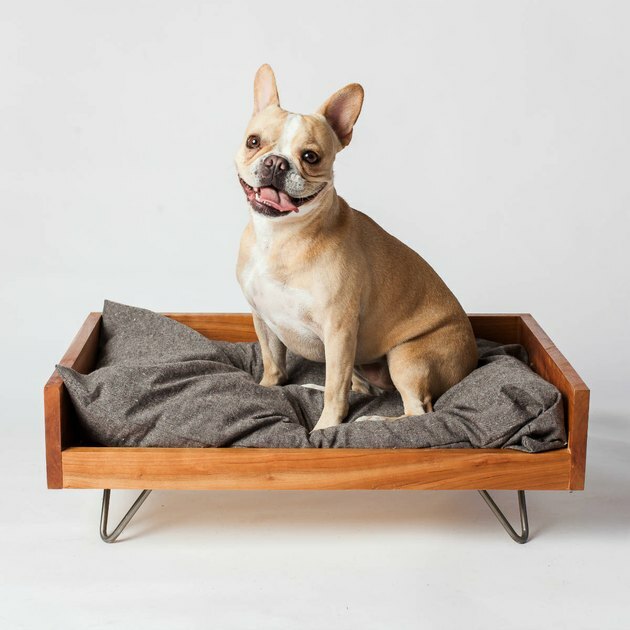 Your pup will surely appreciate these beautiful pieces to his or her capacity, but let's be real: The humans are really the ones getting a kick out of all of this.